In 1985, high school senior Jake Weathers stumbles upon a clue to a decades-old mystery… The day after their graduation in 1961, Kate Delisle and Trish Hawthorne left Weston, Massachusettts and were never seen again. When he discovers a note Trish wrote to Kate the day before their disappearance, Jake decides it’s his destiny to solve the oldest cold case in the state. He’s fascinated by the story, because sometimes he wants to disappear too, and leave his father in the rear view mirror. Jake needs help in his investigation, and reluctantly turns to the annoying and spoiled Julie St. Hilaire… Julie would have been Trish’s niece and has the inside track to information about the reclusive, wealthy Hawthorne family. As they chase down leads, the personality clash between Jake and Julie simmers down, and Jake finds it impossible to ignore the growing attraction between them. Jake and Julie find more than they bargained for… Jake suspects Kate and Trish had been living a lie and hiding dangerous secrets. As the mystery unravels, he and Julie start to dread what they might discover about the fate of the missing girls. Some cold cases should not be solved… This could be one of them. I was expecting mystery, action, and thrills when I requested to read and review A Cold Case. Unfortunately, this is not what I got, and I was left very disappointed. 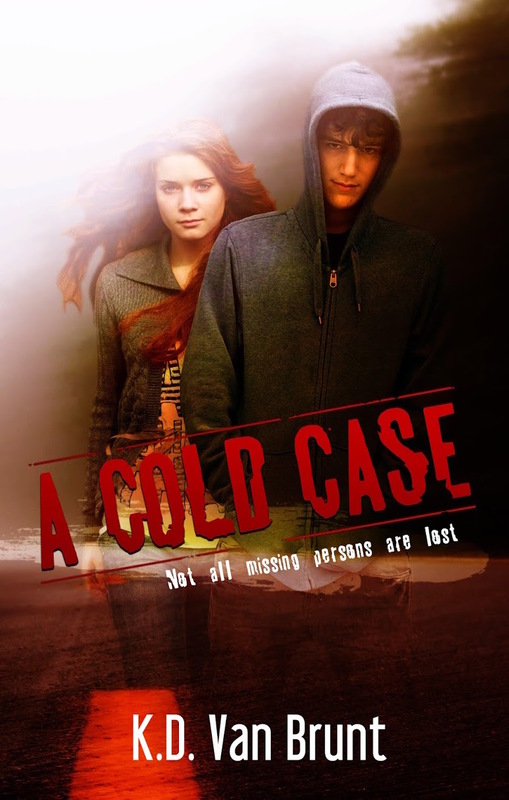 A Cold Case focuses on Jake Weathers, a high school senior, who stumbles onto the oldest cold case in the state, a case about two missing girls. He decides he is going to write an article for his school’s newspaper about it, but he needs the help of Julie St. Hilaire who seems to hate him. They work together along with two other girls to track down people that were present during the girls’ final days and are able to figure out what happened to the girls through interviews with the different people. The mystery was not the focal point of the novel. The main point was definitely getting Jake and Julie together. I love me a good romance, but I did not like how the mystery aspect was just kind of a ruse. Also, I guessed why the two girls disappeared very early in the story so the reveals were rather lackluster. The plot moved very slowly. There was not too much action until the end and even then, it was still on the slower side. At the beginning of the novel, I was interested, but that interest dwindled quickly. It took me a while to get through this book because it was long for no good reason. I think at the very least 100 pages could have easily been cut out and not subtract anything from the story. One of the reasons the book was on the slower side was because characters kept being introduced. Some of the characters I really didn’t even see a point to being in the story and others were mentioned at the beginning and then forgotten about by the end. Overall, I guess I was hoping for more mystery and thrills in A Cold Case so I was unfortunately let down when I didn’t get that.